How the ancient art of paper-folding solved some of the geometric puzzles that had plagued mathematic minds for millennia. Origami is a fine art that requires patience imagination and dedication. Originating in Japan, the process of folding paper to create elaborate sculptures has become a popular art form. 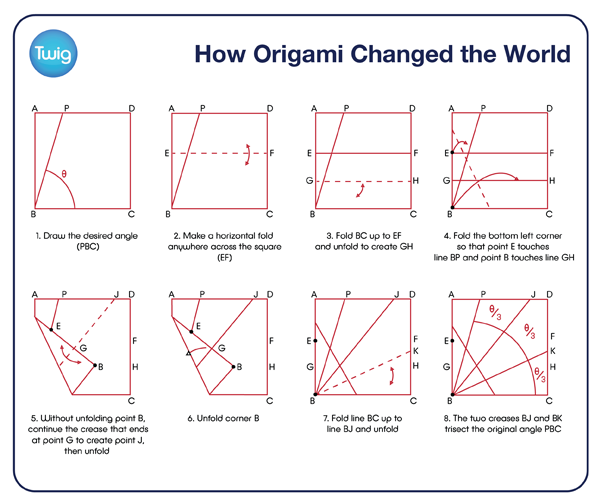 But while geometry lies behind its beauty, origami has also been used to answer seemingly impossible mathematical questions. In ancient Greece, the mathematician Euclid proposed a series of simple assumptions, or axioms, that allowed him to prove complex geometric results using only a straight edge and a compass. These proofs have become the foundations of modern geometry. But even Euclid could not solve two fundamental problems using his technique. Whereas he could divide an angle equally in two, he couldn't find a way to trisect an angle into three equal parts. And he couldn't find a way to double the volume of a cube. In the 20th century, geometric proofs of these problems came from an unlikely source. In 1936, the Italian mathematician Margherita P Beloch found solutions, using the mathematics of paper folding! She was able to find the trisection of an angle and the geometric ratio needed to double the volume of a cube. Her findings were later converted by other mathematicians into a series of new axioms, based on the principals of origami. 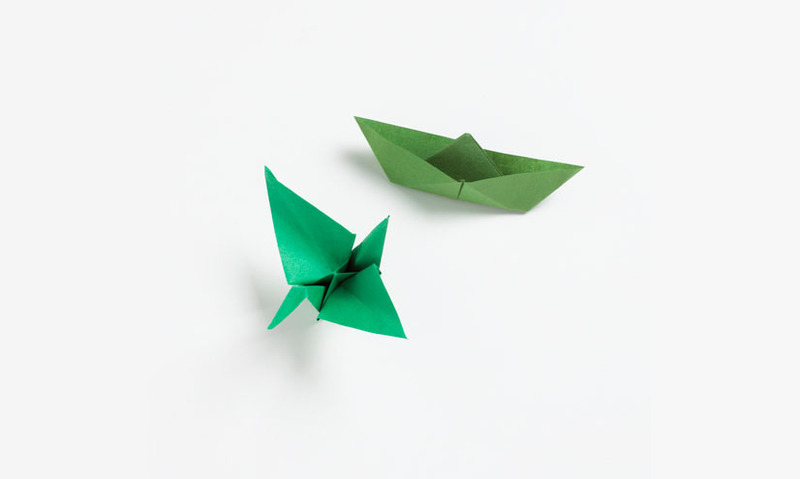 The revelation that origami could be used to calculate angles and volume has led to its application in modern engineering. From the construction and deployment of airbags to the testing of robotic machinery!